What would you do if you could see other people's dreams? If you could watch their hidden fantasies and uncover their deepest, darkest secrets without them ever knowing? Sara Barnes is about to find out. She thought that all she had to worry about was final exams, Christmas shopping and deciding whether she likes the cute freshman in the next dorm who's got a crush on her. 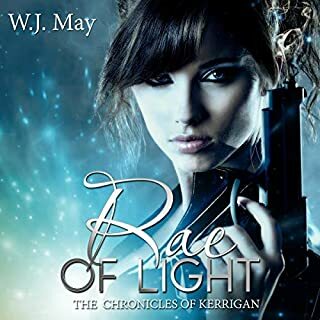 As the future prima, or head witch of her clan, Angela McAllister is expected to bond with her consort during her 21st year, thus ensuring that she will come into her full powers at the appointed time. The clock is ticking down, and her consort has yet to make an appearance. 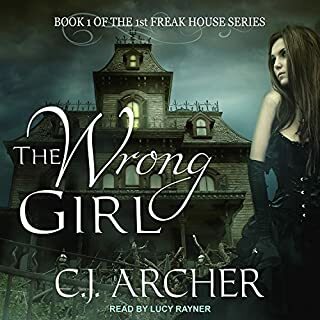 Instead, her dreams are haunted by a man she's never seen, the one she believes must be her intended match. After nearly a decade of visiting other people’s dreams, Sara Alderson thought she had made peace with her supernatural gift. Until one night, while watching her husband dream, she saw someone else watching him, too: a mysterious woman in a red dress. The woman in red keeps appearing in the dreams of Sara’s husband and his co-workers. Sara doesn’t know if this mystery woman is trying to steal her husband, drive him mad, or something even worse. All she does know is that now she has something she never imagined: a nemesis. And the only thing more dangerous than a nemesis who shares her ability to step into other people’s dreams, is one who knows far more about that ability and how to control it than Sara does. 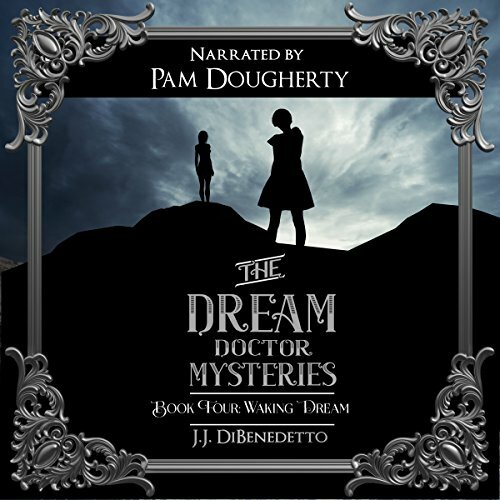 Waking Dream is the fourth audiobook of the Dream Doctor Mysteries. I love the concept of the story. What happens in your dreams can hurt you or someone else. It's a very interesting subject. This is the fifth book in the series, but you can catch up quite quickly if this is the only book you read. There was not a lot of action during the first part of the book, but still awesome story telling. Once it really heats up, it's hard to stop listening to it! The narrator did an awesome job! It was very clear know who was talking, even when the young children spoke. She would also change her voice when it was a dream, so you could differentiate between the real world and dream world very easily! What did you love best about Waking Dream? Which character – as performed by Pam Dougherty – was your favorite? Waking Dream has Sara meeting another dream walker, a woman in red, who has shady intentions in her husband Brian's dream. Sara finds out that the things that happen in the Dream world happen in real life. This is a thrill ride of a book. I am absolutely addicted to this series. this story started off with a young couple, the female lead is able to dream walk. following through the series we get to see their family grow and also her solve several crimes and fill in the blanks for other mysteries. 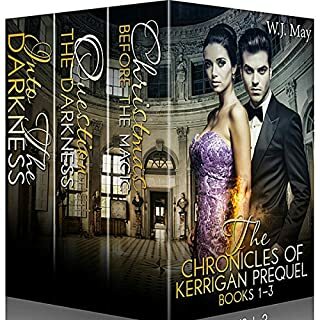 this series is completely addictive and does need to be read in order. you truly do get attached to Sarah, the lead. the only thing I struggle with is how each story jumps several years in between. I think the ending of this story was extremely sweet and much needed. Waking Dream is the fifth book in the Dream Series. I listened to the first two books, Dream Student and Dream Doctor, and they were okay but I liked the third book, Dream Child, the most. The fourth book, Dream Family, was my least favorite of the series because Sara, the main character, was so pitiful rather than her usual strong self. Since I feel like I know Sara and her family by now, I was still looking forward to reading the next book. A lot of what happens in these books is about family. They’re able to get through anything by sticking together and supporting each other. There are still times that Sara drives me crazy when she gets melodramatic, but this is still a good story. Waking Dream contains a lot of drama and mystery. Someone is invading the dreams of Sara’s husband, Brian, and she needs to find out who it is and why this woman in red keeps showing up. And when someone that Brian works with commits suicide, Sara knows that the woman in red has something to do it and she feels like she has to find her before she hurts someone else. This is the first narrator of these books that I like. She has a good speaking voice with good timing. I recommend Waking Dream and I’m looking forward to reading the rest of the series. Waking Dream is the fifth book in the Dream series. Sara is back with her husband Brian the kids and a new foe. 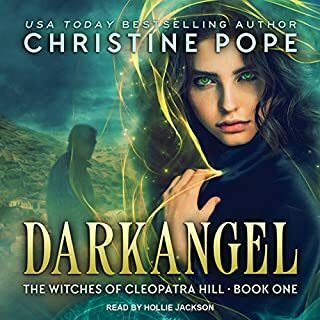 She also has a new narrator Pam Dougherty. Pam keeps the tone and pace of previous narrators. Her voice was close to other narrators so I easily heard Sara's voice in Pam's performance. JJ DiBenedetto writes a story that can stand alone but also is part of bigger picture. 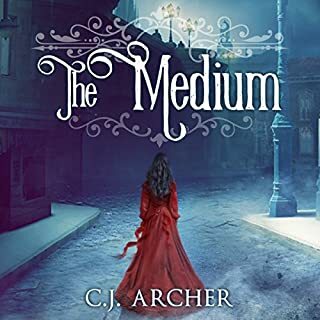 So many authors retell previous books to catch a reader up and add chapters to the book, JJ does it gracefully and with just enough backstory to please both new and old readers. Sara is faced with a new discovery about here dreams. This ability can influence people to act in the real world. Although Sara would never harm anyone she finds another dreamer who does. This person is out for blood and money. Will Sara find out who this second dreamer is? Can she stop them before they harm someone. The hunt is on as Sara keeps up her regular life and her dream life. Can she keep both on track and safe. Read Waking Dream to find out what's next for Sara and her family. 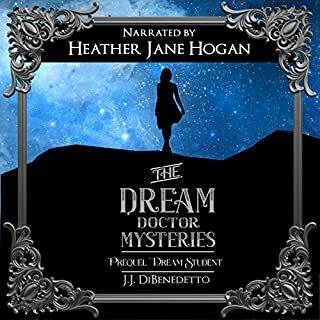 This Dream Series Book will not disappoint and is a great listen. I received this book as a gift for an honest review. I just had to try this last book in the series to see if it got any better. & one aspect did- the narrator this time was excellent. But the story got even more ridiculous , even for scifi . Who ever dreams in such detail & in such a straight forward way ? Even scifi has to make some sort of sense - this did not the whole series is pretty lame.